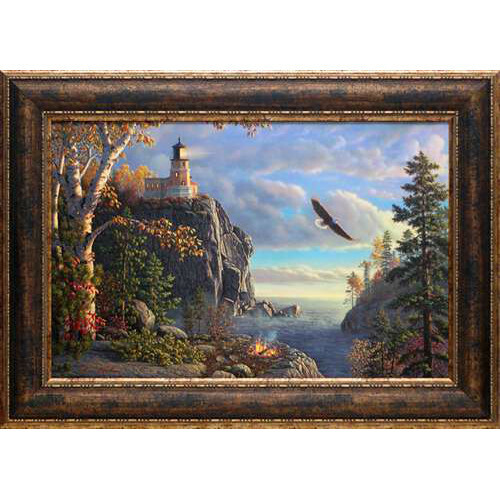 Guiding Light by Kim Norlien features a breathtaking scene of a magnificent lighthouse on a rocky cliff. Storm clouds are breaking up against a blue sky, a bald eagle soars in front of the lighthouse. The scene is completed with autumn tinged trees and green pine trees, plus a campfire on a lower rock face. A stunning art print for any rustic hunting or lodge cabin decorating theme.